An animal clinic with a history of attentive service, care, and advocacy for pets. We have been serving the Queens community for 30 years. Founded by the Dinetz husband and wife team, FMAC quickly became a friendly neighborhood business staple. Clients came from all parts of Queens and the clinic continued to grow. In 2014, Dr. Jeremy Cohen took the reigns as Medical Director/Owner and improved upon the existing stellar reputation and overall appearance of the animal clinic. These days, FMAC strives to offer personalized attention for your family pet needs. We have extended our office hours to accommodate the busy city lifestyle of our Queens families. Dr. Cohen makes himself accessible through email and phone communications, which our clients really appreciate. We have added pet grooming services and doubled our support staff to greater serve your pets medical and wellness needs. We are committed to shorter wait times, and cost effective, reasonable rates. All this has contributed to a growing client base that often recommends us to their family and friends. People have realized that we aim to treat your pet as we do our very own. A comfortable family setting and the latest technology, in one convenient location. We are located close to the major highways, at the heart of Queens. Our storefront can be seen on the bustling Union Turnpike, adjacent to serene parks and quiet neighborhood streets. There is ample street parking for added convenience. We have clients come from Bellerose, Floral Park, Jamaica, Flushing, Whitestone and Rego Park surrounding areas. Our clinic is cozy, clean, modern and welcoming. Don’t underestimate our intimate size, we now have the most cutting edge veterinary tools available; in-clinic diagnostic lab, Cuattro high definition x-ray system, dental suite and digital record-keeping systems/pet portals. In addition, we have partnerships with outside specialists who can do consultations and advanced procedures right in our space if needed. At Fresh Meadows Animal Clinic, we offer advanced medical care at reasonable rates for pets and their families… our customers know that they can count on us to care for their pets as if they were our own, all while providing expert advice to help them at home, too. Click on any of the service categories below to learn more. 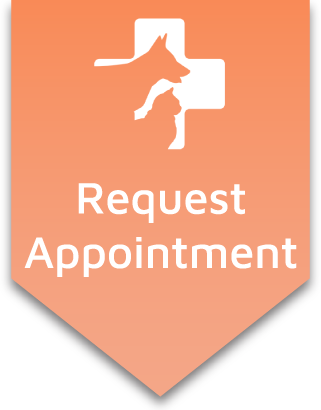 Or, if you already know what you need – request an appointment for your pet online! Don’t underestimate how important regular visits to the veterinarian and current vaccinations are for your pet. Regular wellness exams can ensure your pet’s health is maintained, and vaccines can prevent your pet from contracting infections and fatal diseases. Have your pet examined by our professionals today to keep them in the best of health for years to come. Even with the best of preventive care, sometimes our pet’s still get sick and need a diagnostic visit to their veterinarian. We give sick pets our greatest attention, especially in the case of an emergency. With every pet visit, we extensively analyze your pet’s previous records as well as any current symptoms to get to the root of the problem, along with a full physical examination. Grooming your pet regularly is extremely beneficial for their well being. That’s because a trimmed coat and a thorough ear cleaning can reduce infections. Carrying years of experience, our groomer will gently handle your pet to make sure they have a positive experience. Why Choose Fresh Meadows Animal Clinic as Your Veterinarian?